Caledonian is a professional cable manufacturer and offers an extensive range of Automotive cables.Our company has passed the test of TS16949 and ISO9001:2008 quality system. A comprehensive product design and development capability, supported by detailed laboratory analysis and product testing make life easier. Technical skills, high levels of product quality, reasonable price and the customer‘s support make Caledonian on a leading position in the market . 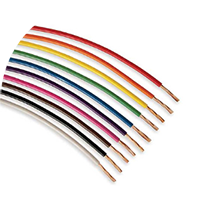 We supply Germany, Japanese, American standards Automotive cables and ensure a more consistent high quality. Caledonian offer single-core Automotive cables which are extremely heat-resistant, flexibly adaptable to use and individually specified according customer requirements and Multi-core Automotive cables for safe and reliable driver assistance. ISO6722 Standard: FLY Series, FLRY Series, FLYW Series ,FLYY Series ,FLYZ Series FLR4Y Series,FLR6Y Series,FLR13Y11Y Series, FLRYB11Y Series . JIS C 3406 Standard, JASO D 611-94 Standard, JASO D 608-92 Standard. SAE J1128 Standard, SAE J1127 Standard. 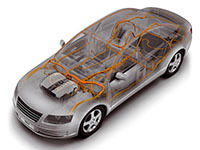 For further information about Automotive cables, please contact us.